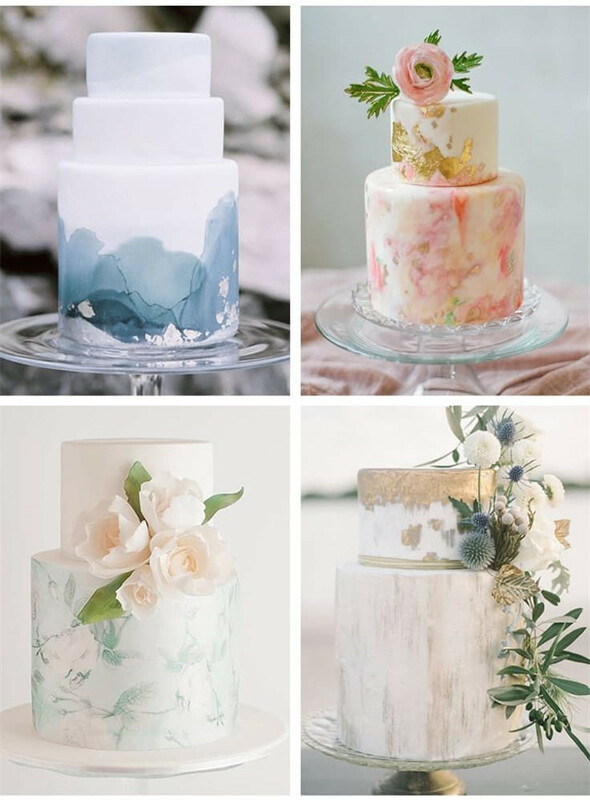 Watercolors and watercolor-like elements are quite popular in weddings because of the delicate, artful and also creative deigns. 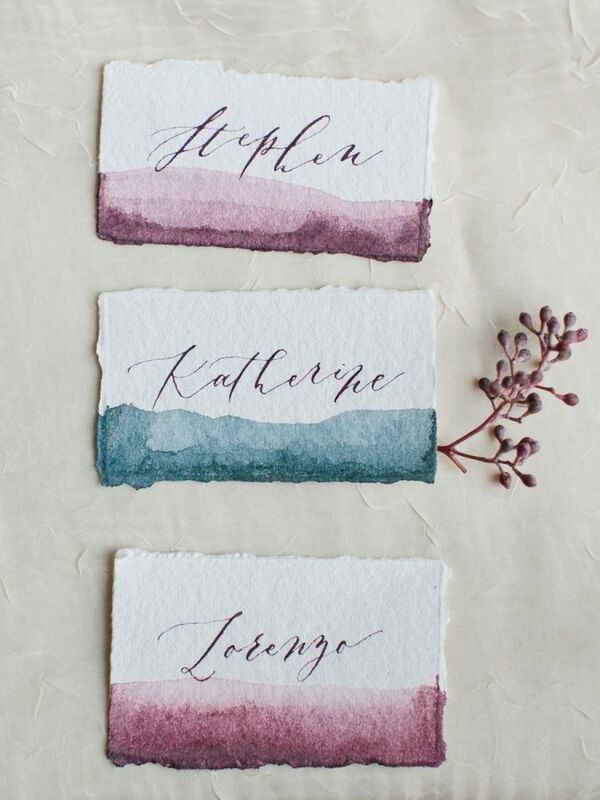 They always remind us of the childhood happiness when we tried our hands on the watercolor paintings. 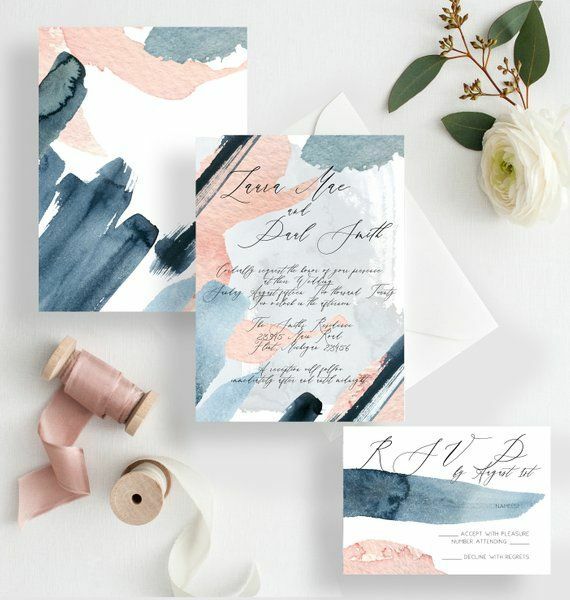 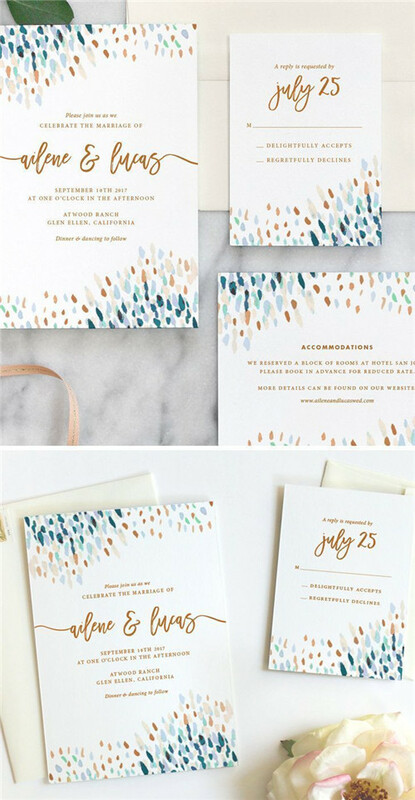 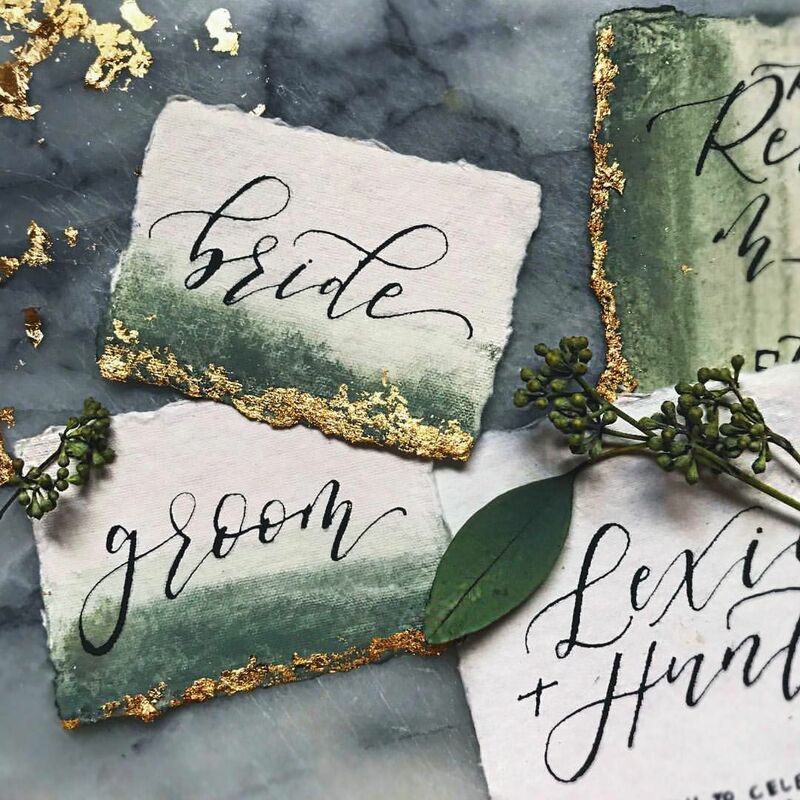 Among all the watercolor ideas for your wedding, watercolor wedding invitations are always the first thing pop into our mind. 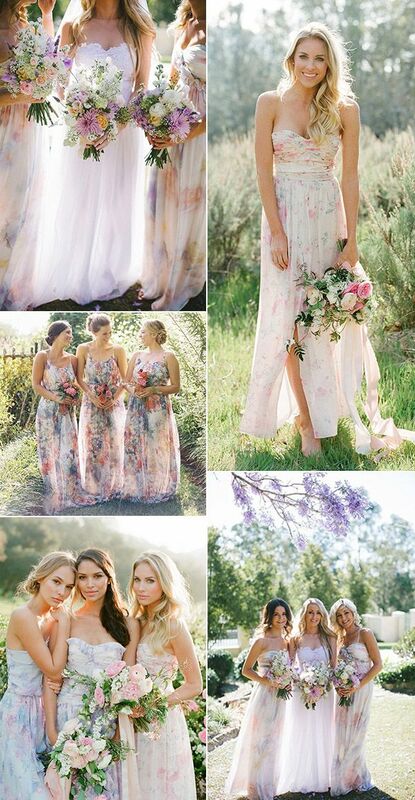 In fact, wedding cakes and bridesmaid dresses are also great items you can work on. 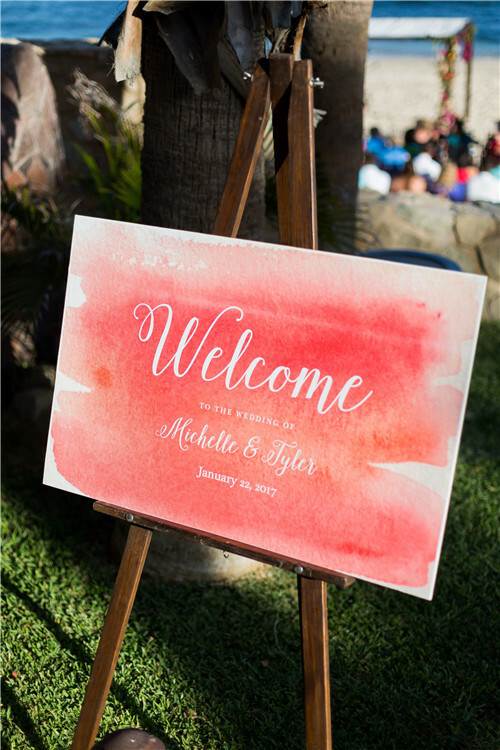 They will surprise you and have an unexpected effect making your wedding amazing. 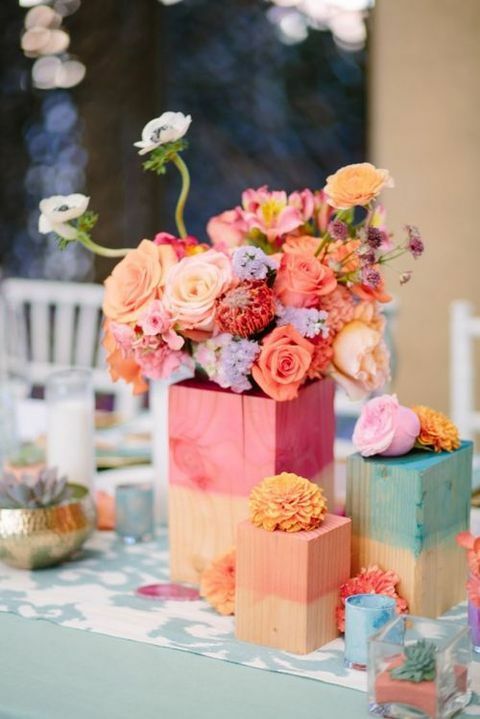 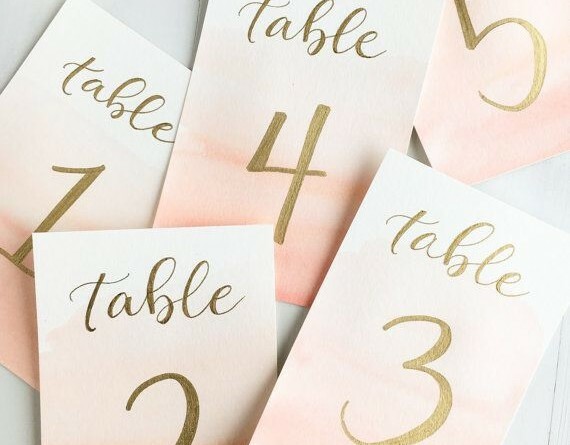 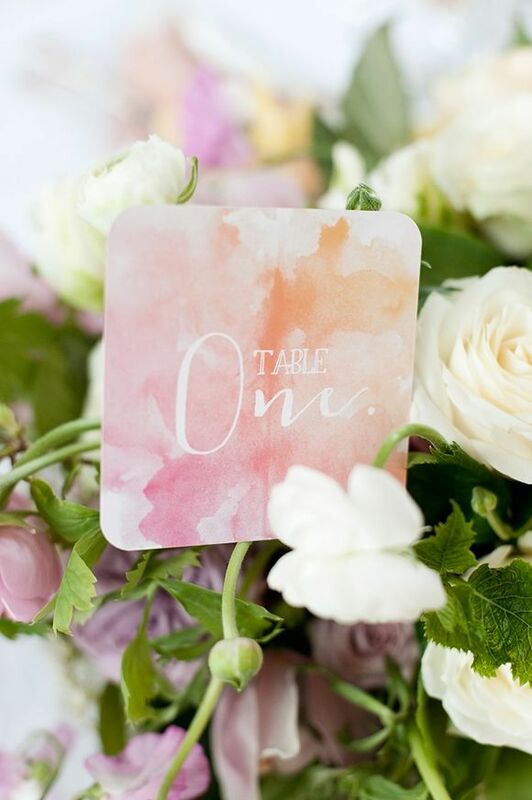 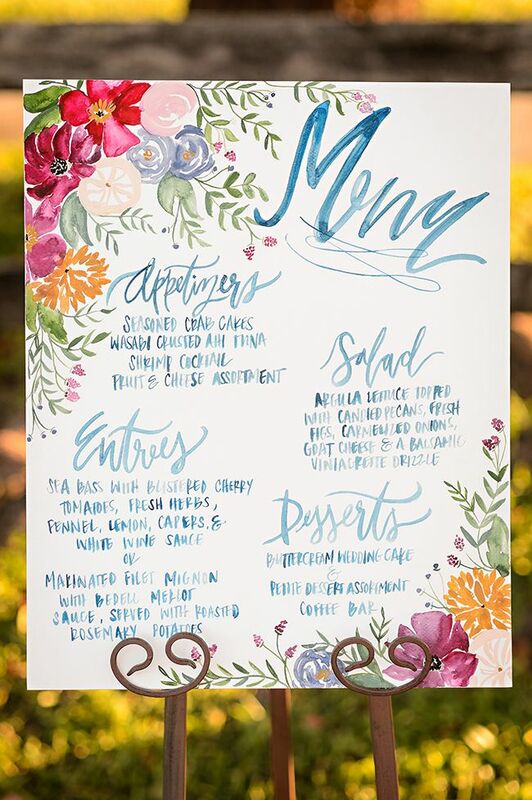 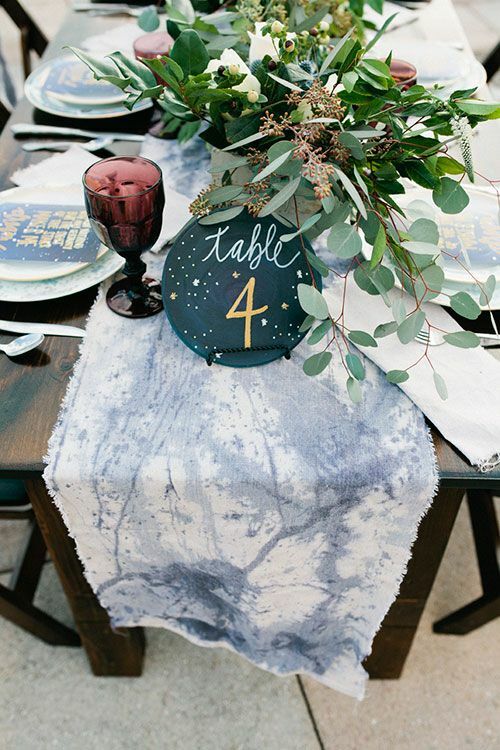 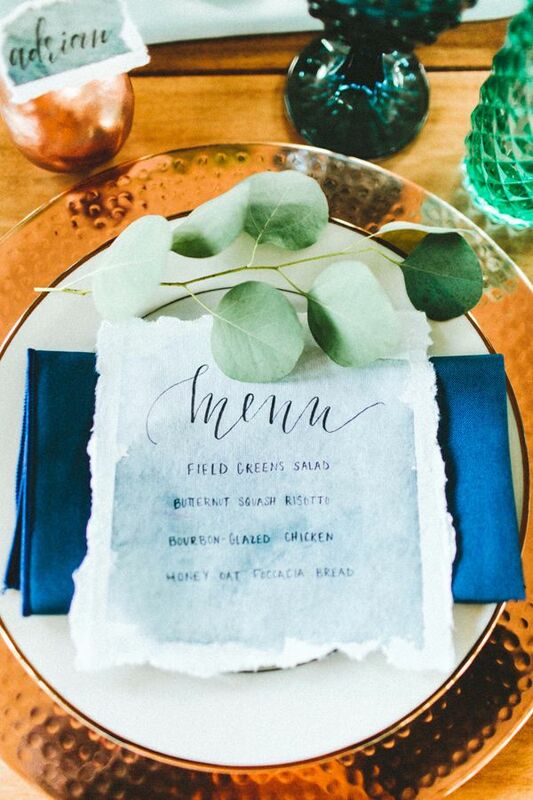 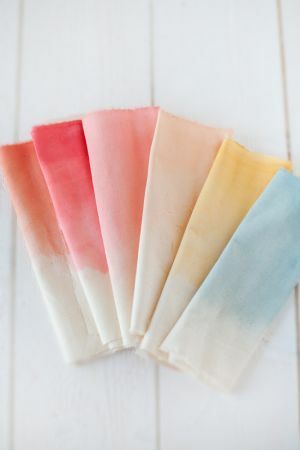 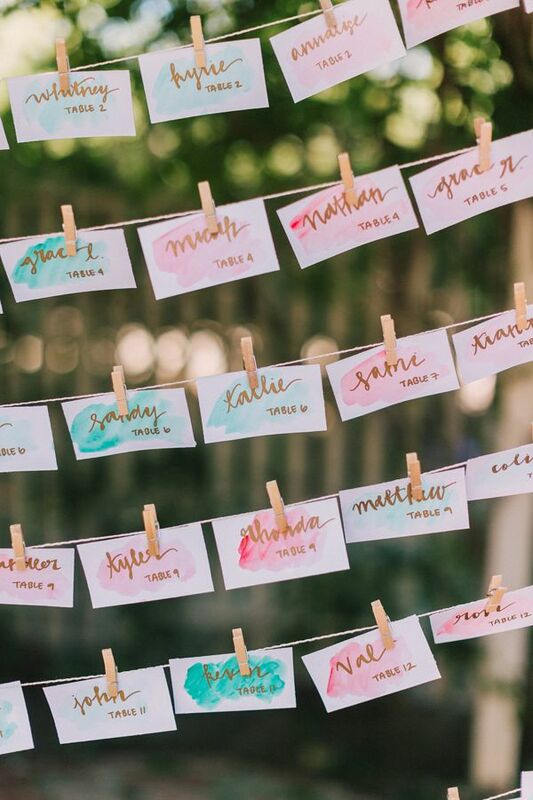 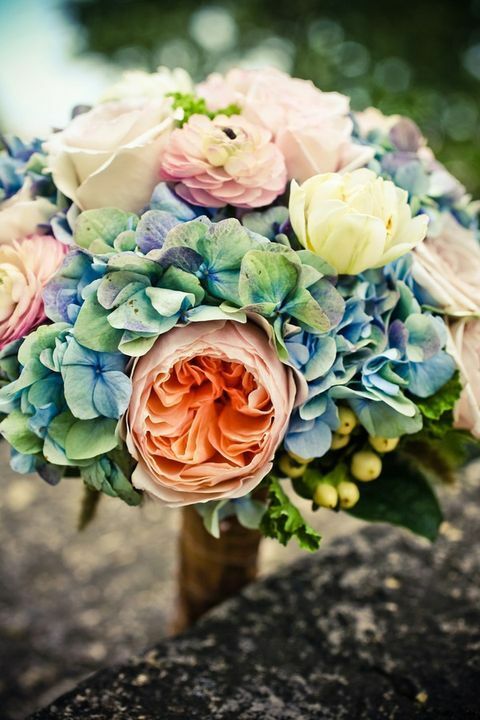 Now read on to see our gallery of watercolor wedding ideas that will blow your mind away! 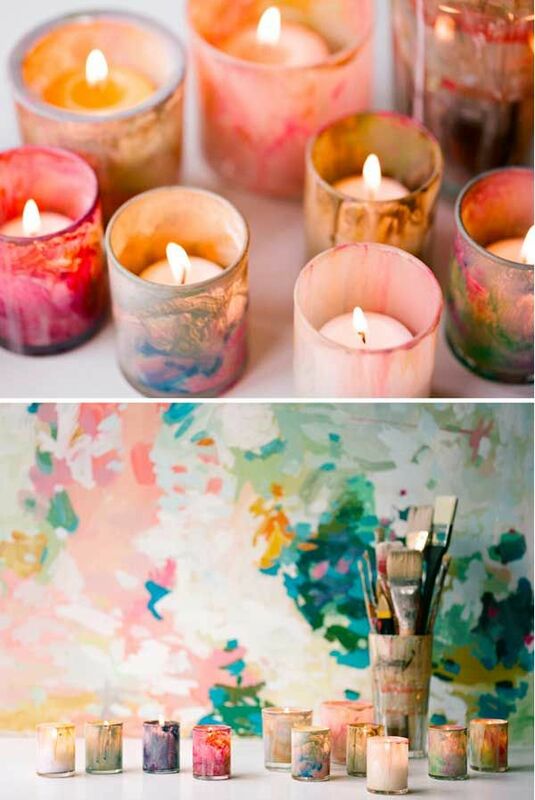 DIY Candle Votives. 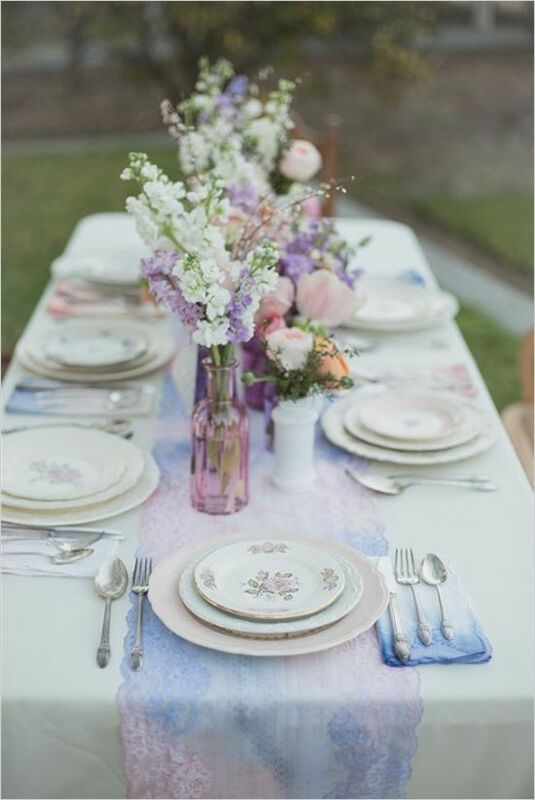 Paint clear glass votives for this water-colored look. 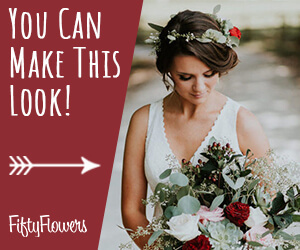 Click NEXT PAGE below to browse the article! 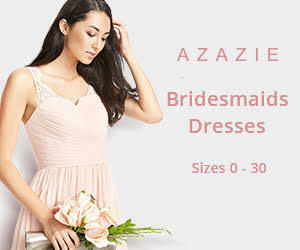 ← 29 Mismatched Bridesmaid Dresses Your Girls Can’t Say No to!